zaprasza zaawansowanych tancerzy do udziału w 4-dniowych intensywnych MASTERCLASSES z Chloé Beillevaire (Francja, Belgia), tancerką jednej z najnowszych produkcji zespołu Ultima Vez Speak low if you speak love. Warsztaty odbędą się w ramach kolejnej edycji BalletOFFFestival. After a short passage at the conservatory of Lille (France), for four years she has studied at the CNSMD of Lyon (Conservatoire National Supérieur de Musique et de Danse). Since 2011 she has taken part in different projects with the cie Ando – Davy Brun Concursus (Lyon/USA), Artopie – Santucci Saillot La barbe bleue (Roubaix), DIEM Dance Image – Yutaka Nakata Diary of a red apple (Lille/Japan), Groupe Noces – Florence Bernad Coco, solo pour une femme seule, Punky Marie (Montpellier), Poetic Punkers – Natalia Vallebona After party (Brussel/Italy), Olivier Dubois – Ballet du Nord Ana Masri (Roubaix/Egypt). Since 2013, she has joined the company Ultima Vez – Wim Wandekeybus (Brussel) with Spiritual Unity and now she is touring with the last creation Speak low if you speak love. As a first step we will go through a technical classe. We will start with different improvisations focused on the awareness of the body and the capacity to switch from a quality to an other. We will experiment the notion of conducted and dropped weight, the fluidity in the articulations, the muscular tension, the sharp or drawned movements in the space… Then we will concentrate our attention on the fluidity of the body around a strong and available center thanks to floorwork and various dance phrases. The aim of the class is to find the best ways to make our body adaptable, malleable as much as possible. In a second part, we will wonder how to bring meaning and spirit into gestural language. 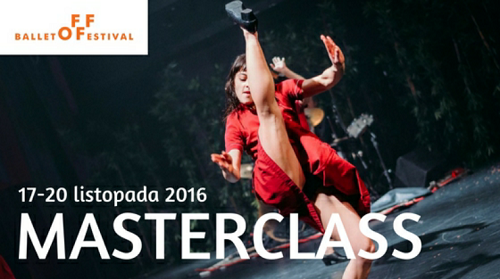 We will work around the idea of a discussion, an open dialogue between different bodies, an absurd talk behind dance movements. We will start from symbolics, daily movements and significant small gestures to make it grow, extreme and contaminate the rest of the body. Keeping always in mind the idea to put in light our strengths and transform our weaknesses, we will establish and build a dialogue based on each other’s universes and own gestures. After a composition work and a play with the different characters in relation in the space, we will look how to transform and appropriate the material of the others and add our own interpretation to it.